Made specially for jobs with extra strength requirements, Heavy-Duty Patio & Pool Fiberglass Screen is extremely well suited for outdoor patios and screen rooms. A sturdy 18 x 14 mesh with .013 diameter charcoal colored material provides tough screen durability for increased weatherability. Available in widths of 36 through 108 inches to handle those big outdoor jobs. Great quality. Stronger than screen you’d get at a box store. Easy to roll out and tack. We installed a large format screen. I purchased a 8’ by 100’ roll. The largest area was about 6ft by 6ft. Easy to work with. Good quality material. Very happy with the result !! We ordered (2) half circle window screens. Arrived on Tuesday. Haven't installed them as yet, but put them on the inside (temporarily), and they fit absolutely perfectly! Thank you so much. Great work too! Advantages: Two high half circle windows in living room and kitchen. At certain times of the year the sun coming in was blinding. These are definitely going to do the trick, to eliminate sunshine & heat. I wish all online services were as good as this ne. Advantages: Helpfull personal, personable, ad rapid response and shipment of product. Great service helping me figure out what I needed. Could never have done this with Amazon. Quick delivery. I appreciated their customer service when I called along with their prompt shipping. After hurricane Irma's damage in Florida we were unable to find the size screening we needed. Quality assured us they had the size required. Advantages: Fast, friendly, & professional service. Disadvantages: Fed-Ex ground shipping a little pricey, but well worth it for the convenience. 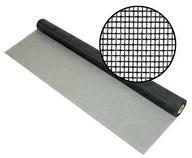 Advantages: A great web site for information on the various screening products. I plan on ordering other item for my project. Timely shipping. Product was as expected. No problems.